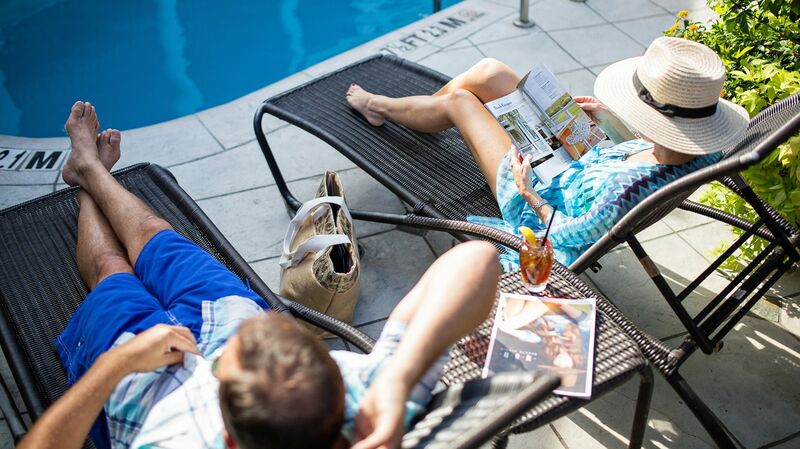 From our beloved hospitable staff to our endlessly inviting accommodations, the King Charles Inn has been widely recognized as one of the best service-driven hotels in Downtown Charleston. View our recent commendations, awards, and accolades and see why the King Charles Inn is the talk of the town. Condé Nast Traveler readers voted Charleston as their favorite small city in the US for the eighth year in a row. In addition, Condé Nast readers voted King Charles Inn as a top Charleston hotel. From Champagne, flowers and carriage rides to Rolls Royces and luxury suites, these romantic engagement packages are sure to get an "I Do." Cyber Monday is coming up, and I know that there are some serious savings to be had. These Cyber Monday 2018 travel sales are seriously sparking some adventurous ideas for me for next year. Halloween is drawing near, and so it’s the perfect time to celebrate one of the founding fathers of horror, Edgar Allan Poe. The King Charles Inn, an award-winning boutique hotel in the historical district of Charleston, South Carolina, is celebrating Poe with a guided tour reflecting on his life in the city. For people who enjoy haunted houses and places that'll give you the thrills, October is the perfect month to explore some of the spookiest sites in the country. A lot of destinations go all-out to get visitors into the holiday spirit. Even though it truly gives me the creepy-crawlies, Elite Daily put together a guide to the best cemetery tours in the U.S. for you and your friends to explore. Explore Edgar Allan Poe’s mysterious time in Charleston. When it comes to Charleston’s history, the line between fact + fable tends to get a little murky. That’s especially the case when it comes to chronicling the time Edgar Allan Poe, a man who relished in the mysterious, spent here. Have you ever used a hotel concierge? They’re actually quite wonderful. Too often, while traveling, we rely on recommendations from friends, Google, Yelp, or our favorite travel blogs, without taking advantage of the very people whose job entails helping patrons find the very best things to do while on vacation. If your family isn’t doing a big Thanksgiving dinner this year, or you’re not feeling the whole over-the-river-and-through-the-woods thing, November is a fantastic month to travel for yourself. Fall is still in full swing in some parts of the country, and warmer southern destinations aren’t packed into high season quite yet. The Five Best Hotels in Charleston, SC by Money Inc.
You’re finally making that long-awaited trip to Charleston, South Carolina. Choosing the right place to stay can make the difference between having a trip that you remember for all the right reasons or one that you would just as soon forget before you even leave. If you’re interested in knowing about five of the best hotels in the Charleston area, keep reading below. If you’re looking for somewhere to go before the summer officially ends, you’ll be excited to know some of the best destinations and resorts are offering steeply discounted last minute travel deals right now. Rooms at the King Charles Inn in trendy downtown historic Charleston are discounted by 25 percent off through the month of August. September is the unsung hero of travel months: The busiest travel season has come and gone, places are less crowded because kids are back in school, and as a result, prices on airfare, accommodations—and even attractions—drop. Despite the fact summer officially ends September 21, your vacation season is far from over. Check out this article by Conde Nast Traveler featuring Charleston, SC as the September destination, featuring our historic hotel, the King Charles Inn. Walking is the most convenient way to get around downtown, and when it comes to convenience it’s hard to beat the location of the King Charles Inn, a historic property that once hosted writer Edgar Allan Poe. The boutique hotel is a short stroll from City Market and other historic spots, and a block from great shopping on King Street. The South Carolina Aquarium is also nearby, as is Upper King Street, a trendy, up-and-coming district of restaurants, bars, and shops. No Invite, No Problem: Lowcountry Businesses Prepare for the Royal Wedding. The royal wedding of Prince Harry and Miss Meghan Markle may happen across the pond, but King Charles Inn is offering a royal wedding package featuring champagne, white roses, chocolate-covered strawberries, a Friday evening pre-party, the viewing party, and a ride to dinner in a 1965 Bentley Silver Cloud. On May 18 and 19 guests can enjoy a Royal Hotel Package. For just around $1,000 per night they can be transported in a British 1965 Silver Cloud Bentley to the hotel and take part in a wedding viewing party. King Charles Inn is featured as one of the top 10 hotels in Charleston by Trips to Discover. In celebration of both the wedding and its own British heritage, Charleston’s King Charles Inn is offering a two-night package available exclusively May 18 to 19. After battling a 108 day stay in MUSC’s neonatal intensive care unit, a Lowcountry family is enjoying a royal holiday at the King Charles Inn. For the third year, King Charles Inn is offering Cyber Monday discounts. Book this offer on Cyber Monday to receive 35% off stays through Feb. 15 and 25% off stays between Feb. 18 and Dec. 31, 2018. For 24 hours only, King Charles Inn is offering a a Cyber Monday special of 35% off stays. The King Charles Inn will have guests viewing the eclipse via a Schooner Pride sail through Charleston harbor, a local astrophysicist lecture beforehand, and a post-eclipse reception will follow with special wines such as Spellbound Chardonnay. The Palmetto State is known for its vibrant hot-orange sunsets, but come this August, many South Carolina cities will become a hub for a different kind of celestial event: a total solar eclipse. King Charles Inn, a boutique hotel pairing English heritage with Southern hospitality, has been named a recipient of the 2017 Experts’ Choice Awards from TripExpert. You’ll find all sides of Charleston at King Charles Inn, a hip boutique hotel in the heart of the white-hot Upper King District with a rich history dating back to the early 1800’s. In Charleston, S.C., the King Charles Inn will hold a lunch lecture by an astrophysicist and a viewing party aboard a tall ship in Charleston Harbor (rates from $397 a night with a three-night minimum). King Charles Inn, a boutique hotel in Charleston’s historic district is pleased to announce a series of pop-up events featuring six local purveyors. Occurring monthly between March and August, each shop will be open to guests and the general public at the King Charles Inn. While the total eclipse will pass over 14 states from coast to coast, it's important to keep your plans flexible and visit places you would want to experience anyway, says Teddy Minford, editor at Fodors.com. If you're interested in springing for a once-in-a-lifetime eclipse package, consider Charleston's King Charles Inn, which is offering "a unique viewing experience aboard a schooner with a talk [led] by an astronomer," she says. Noble, stylish and approachable are the three key words that spring to mind when I think of my stay at Charleston’s King Charles Inn. The hotel is home to a variety of very attractive amenities and sits in the heart of Charleston’s gorgeous historic district. Sleek designs infiltrated with Southern Charm paint an ideal stay for all kinds of travelers, be it romantic, business or adventure. Just before 3 p.m. on Aug. 21, the skies above Charleston will go dark. For about 1 minute, 40 seconds, the moon will block the sun from view. About 200 days out from this total solar eclipse, businesses in the Charleston area are already preparing for an influx of astronomy buffs and tourists. King Charles Inn, a historic downtown hotel, is proud to announce a new Host a Hero contest, honoring an inspirational figure in the area. With nominations running between Nov. 21-Dec. 5 on the King Charles Inn Facebook page, the winner will receive a complimentary one-night stay, free breakfast, and dinner gift certificate. 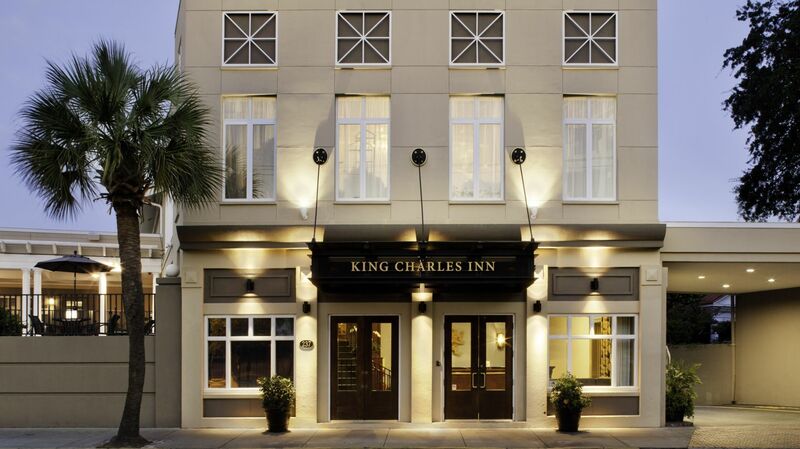 The King Charles Inn is offering a free night's stay in downtown Charleston to a "local hero." The hero will determined by a contest on the hotel's Facebook page. The contest runs through Dec. 5. The winner will be announced Dec. 8 on the Facebook page.